Maximum 750 in 323 single/double berths, one class to 1949. From 1954, 375 1st class and 200 2nd Class. 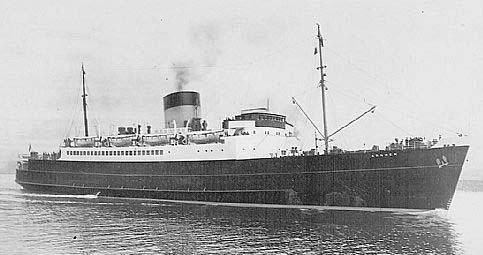 A sister ship AMSTERDAM was built in 1950 under B.T.C. ownership. 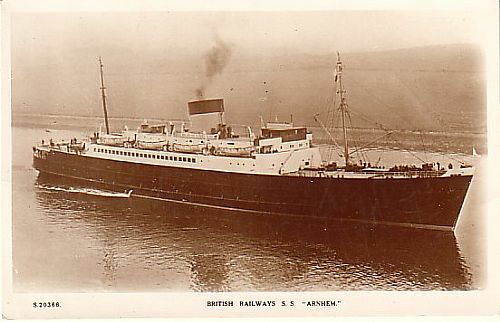 Made her final sailing from Hoek on 26 April 1968 and broken up at Inverkeithing, arrived 16 August 1968.